HTC One X software update available in UK | What Hi-Fi? 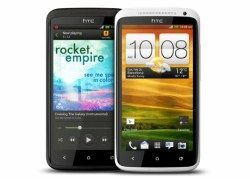 HTC has released the latest software update for its flagship HTC One X smartphone. The software update - 1.29.401.7 - is rumoured to address reported issues with screen flicker and also battery life. HTC has yet to issue official confirmation of what fixes the update contains. Users can do the update manually by heading to Settings > About > Software updates. The update has been rolling out across Europe over the last few days but only now seems to be arriving in the UK, though different network providers may well make the update available at different times. Let us know how you get on and if you notice any changes in the comments section below or you can join in with the more detailed discussion on the HTC One X in our Forums.